Another of Patrick's talented followers has turned the great story into a short animation for a school project which is worth sharing. 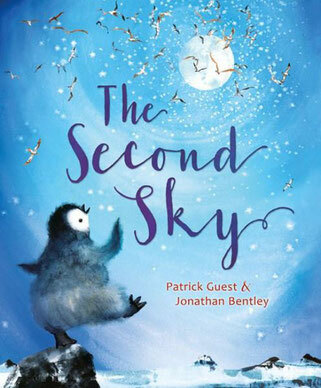 The Second Sky written by Patrick Guest and Illustrated by Jonathan Bentley has been shortlisted by The Children's Book Council of Australia for the 2018 Early Childhood Book of the Year. The awards will be announced on the 17th August, 2108. 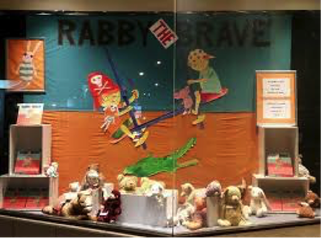 Rabby the Brave – As well as supporting the launch of Rabby the Brave Farrell’s bookshop (my local bookshop) on Main Street Mornington have devoted the shop widow to the release of Rabby the Brave. Pop down to check put the window and talk to the great staff about all things books! 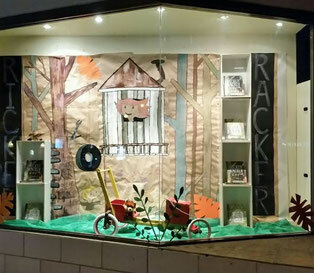 The Ricker Racker Club – As well as supporting the launch of the Ricker Racker Club Farrell’s bookshop (my local bookshop) on Main Street Mornington have devoted the shop widow to the release of The Ricker Racker Club. Pop down to check put the window and talk to the great staff about all things books! In this radio interview with Heather Mc on Radio Port Phillip about the launch of The Ricker Racker Club, Thats What Wings are For and the importance of kindness, silliness and bravery in children's stories. 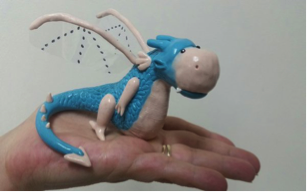 On this short YouTube clip I talk about the story behind the book “That’s What Wings Are For” connecting it to our families experience with Duchenne Muscular Dystrophy and Bluey the hero.